Drum Daze returns this year in spectacular fashion. For those of you who haven’t been, Drum Daze is an afternoon of drumming by the world’s top drummers (1PM to 6PM). It’s held at the Capitol Theatre in the Riffe Center in downtown Columbus, Ohio. Each artist will give a 60-minute clinic (playing and speaking) explaining what he or she does (exactly how much playing and how much speaking is up to the individual artist). Throughout the day, thousands of dollars of drum gear is given away by the sponsor companies (anything from sticks to hardware to cymbals to drum sets), and artists are available afterwards for a giant autograph session. The best part of it all? As long as you pre-order your ticket, it’s only $25.00. Alex is probably best known as a drummer and percussionist for the band Weather Report, but his career began before that in his home country, Peru. 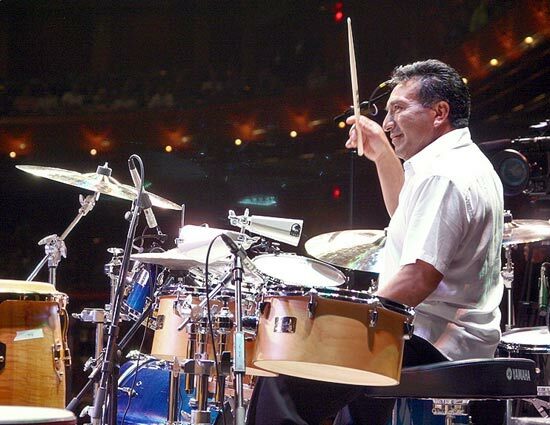 There he played drums for the great Latin band leader Perez Prado starting at age 18. He studied at the Conservatory in Puerto Rico, and has played with many great names since coming to the states. Aside from Weather Report, his list of playing credentials include Diana Ross, Elvis Presley, U2, Paul McCartney, and many more. 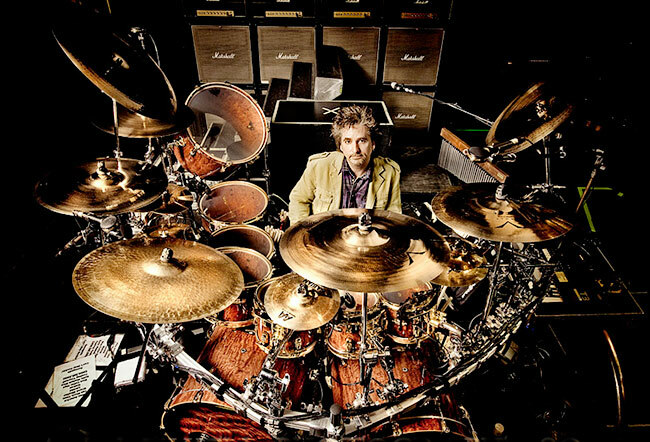 We’re excited to welcome this legendary and incredibly diverse musician to this year’s Drum Daze. After graduating from North Texas, Gregg played with the Maynard Ferguson big band. Gregg has performed with and recorded with an amazing variety of artists including Santana, Joe Satriani, Don Henley, Brian Wilson, Enrique Iglesias, Toto, David Lee Roth, and many more. Some of his most notable credentials include Ringo Starr’s All-Starr Band and being invited to play with the Buddy Rich Big Band on the Buddy Rich Memorial Concert video/CD project. Gregg is currently a traveling clinician and he continues to record with and for many other artists, films, and TV shows. 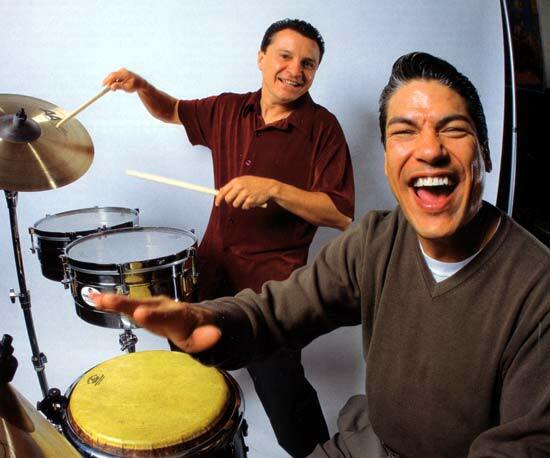 The talented duo of Karl Perazzo and Raul Rekow have made up Santana’s percussion section for years. Raul, the earlier addition of the two, has been with the band since 1976. Karl joined in 1991 and never looked back. Both of these talented drummers have also lent their abilities to other artists over the years, including Aretha Franklin, Whitney Houston, Dizzy Gillespie, Mariah Carey, and more. Karl and Raul will thrill and inspire, and their performance is one not to miss. 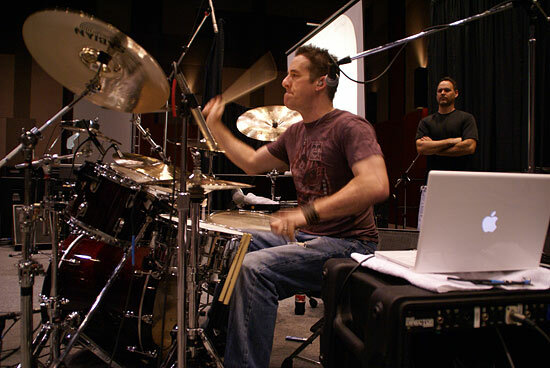 Todd Sucherman established his professional drumming career with the band Styx. 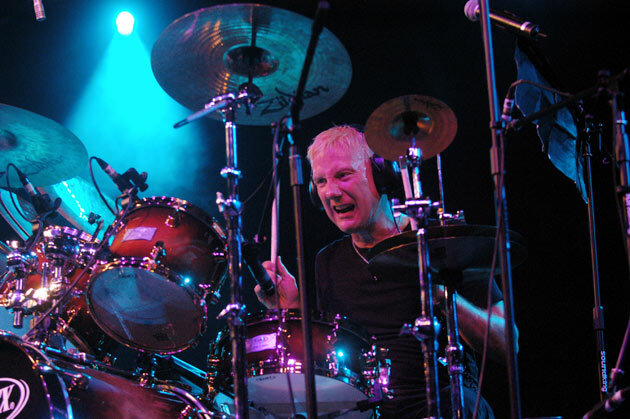 Todd had been a first-call musician in the Chicago recording scene, and he joined the band after their original drummer (John Panozzo) fell ill, and he’s been with them ever since. He continues to make albums with the band and other artists, and is a world-renowned clinician. Sucherman won the Modern Drummer Magazine Reader’s poll for #1 Educational DVD as well as #1 Rock Drummer for 2009, and he also was voted the #1 Clinician in DRUM! Magazine. We’re happy to have him here for this year’s Drum Daze. Jim Riley currently plays for Rascal Flatts, but had an accomplished career prior to joining the band. After receiving his Music Education degree from the University of North Texas, he became Head of Percussion Studies for the Coppell Independent School District. In 1997, Jim moved to Nashville and began playing with the likes of Mark Chesnutt and Hank Williams III. In 2000, he became the drummer and band leader for Rascal Flatts. He is still currently playing with that group, as well as doing many sessions in Nashville. In 2009, he was voted “Best Drum Clinician” by the readers of Modern Drummer and “Best Country Drummer” by the readers of DRUM! Magazine. Tickets are still available for Adults and Youth. At this time, they’re will call pick up only (unless you come into the store). Don’t miss these guys on Sunday! This entry was posted in Clinics, Drum Daze 2011. Bookmark the permalink. Is it possible to get Dennis Chambers added to the line-up so there would be the entire percussion section present from the Santana Band. That would be great and those guys have a very outstanding percussion section together. Santanas percussion section there? That would be oustanding to have them all there. WHO ELSE ARE YOU GUYS PLANNING ON HAVING AT DRUM DAZE? What about getting a local artist line up? I would love if you had Chester Thompson!! Maybe next year?? Will Brad Canaday be performing this year? Great show today. One the best overall lineups for Drum Daze. I know it takes a lot of work to put on this show every year. Three cheers to Columbus Percussion! Maybe one day Neil Peart or Mike Portnoy could be in the line up? Great day again this year at Drum Daze. We enjoy all of the presentations this year. Everyone has a favorite drummer they’d love to see at Drum Daze. My suggestion is have Jim Rupp himself join in the fun. At least have him jump on the empty Greg B kit at the end of day jam session. How cool would that be? Good call, would’ve been awesome. Please get Vinny Appice next year, better yet get Carmine and Vinny!!!! Jim Riley had to be my favorite this year.